These birds swim! They go underwater! Who knew? 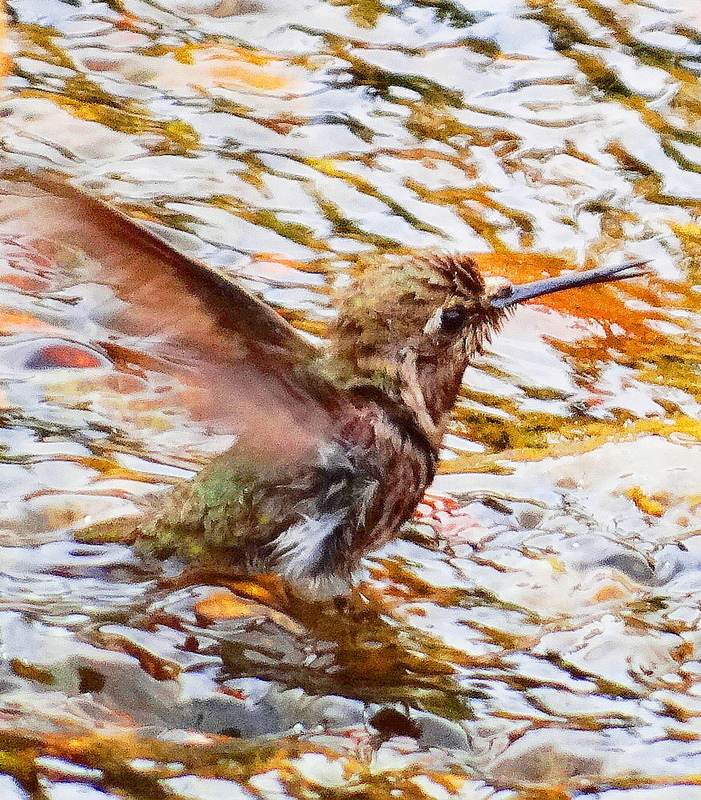 Who knew hummingbirds swim? Not me! But check out these guys. 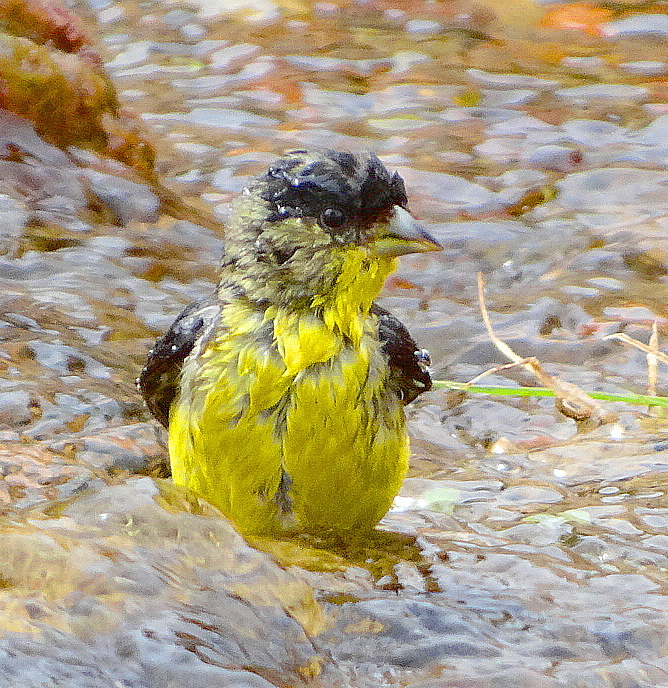 All sorts of songbirds are into aquatic sports apparently! Sorry to be out of touch, but more mountains to climb tomorrow. Cheers from Julian & lots of wet birds! ← Vain Holler Critters, Murderous Glories & Jumpin Jack Flash! 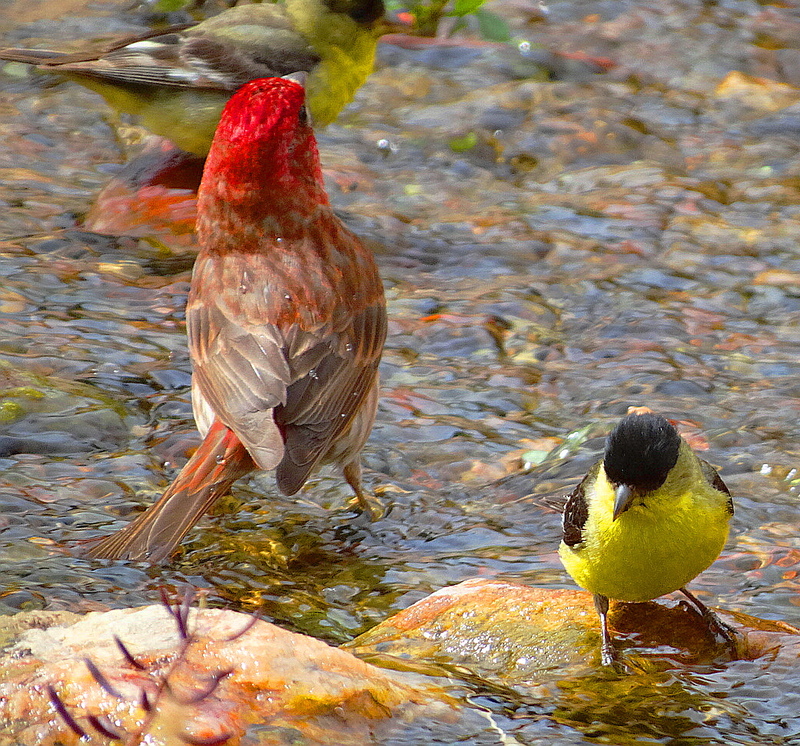 You have some very pretty and colorful birds there. I’m beginning to believe that all these creatures are photoshopped! It is amazing how many unqiue species occupy a single space. Each day seems to bring a special treat! If your serious, I certainly can. Let me know & cheers! Such gorgeous vibrant colours, I’ve never seen a scene like it. Thanks for brightening up my morning. Thanks so much Fae. I was amazed with their swimming abilities!! 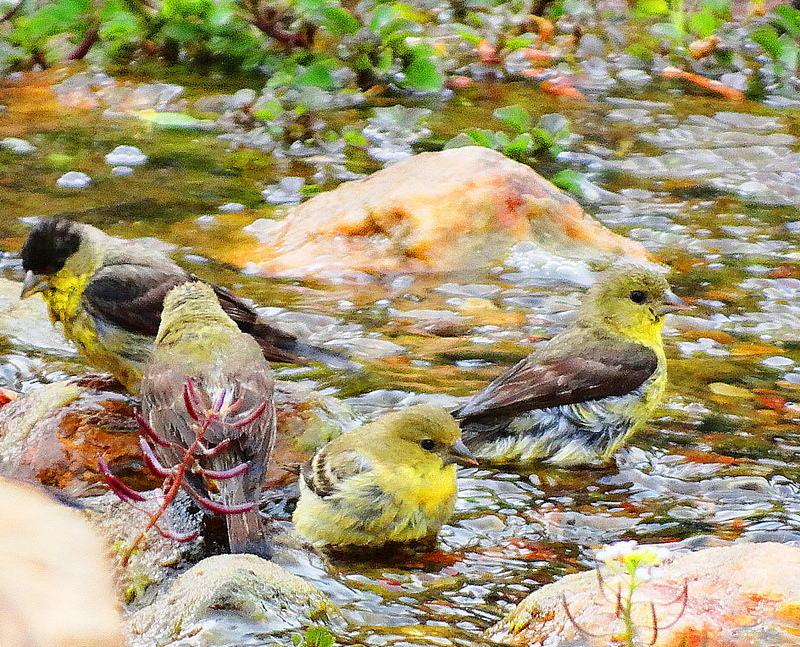 Bathing beauties! Was it a very hot day? Not particularly. They were like kids at the beach!! Hilarious & lovely! I particularly like the one with the pink bow tie! Fantastic shots of these little cuties. 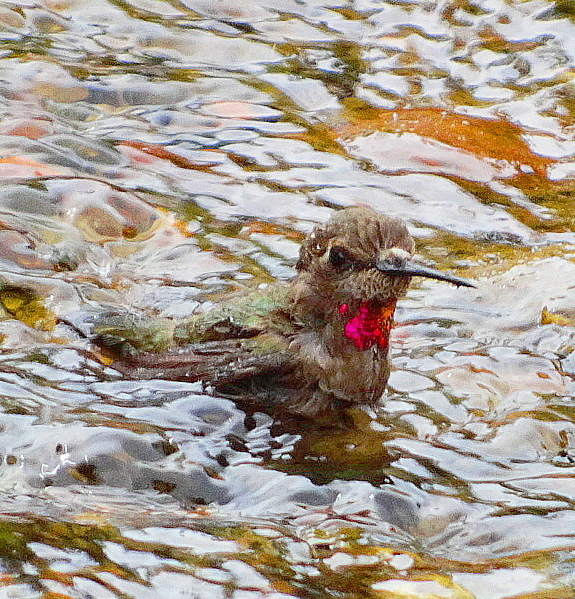 I did not know humming birds do bath like that. Thank you for sharing. I didn’t know any of this birds actually swam on the water and some under!! Amazed me! Really enjoyed these photos – made my morning. lol…who knew…these are fabulous shots, bathing beauties! Love them & thank you too!!! These birds really look like they’re having fun. They look so cute wet! Lovely! They are having so much fun in the water 🙂 Thank you for bringing these beautiful birds to our screen! 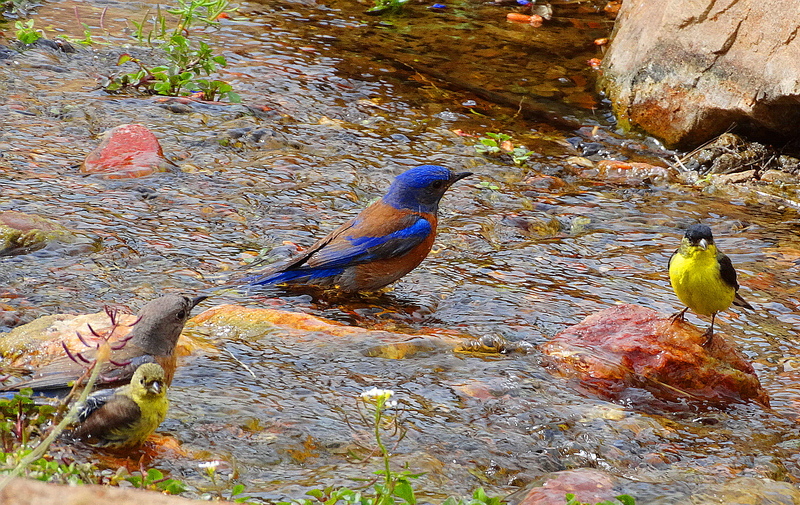 Such beautiful birds! You take such wonderful photos, Cindy. Your bird pictures are getting better and better, congratulations! How sweet! 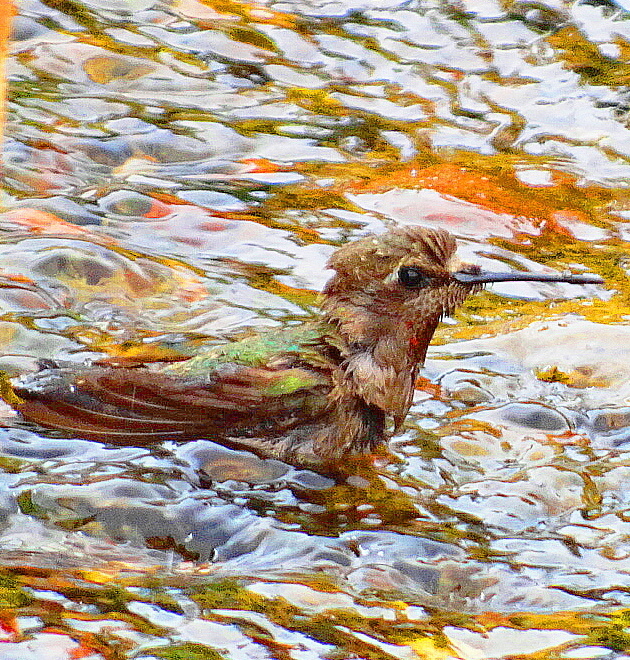 And no, I never knew hummers would get totally soaked like that! Wonderful, colorful, clear pictures of birds having a great time! I didn’t post the pics of the birds submarining under-water, not aesthetically pleasing maybe but hilarious & fascinating. Hugs to Wolfie! You are a very nice person! Thank you! Were there in your pond or did you leave home to come upon this scene. Yes I try to insert some order amongst my birds at the holler too. Kinda like herding cats…….These were at a wonderful place called Orchard Inn, about an hour and a half drive east from the holler. I counted a bluebird, goldfinch, house finch, robin, ruby-throat Hummer, and I think that’s all. Really interesting to see them all in one place and seemingly getting along w/each other. Usually one or the other gets territorial. Great pictures, Cindy. Oh good! 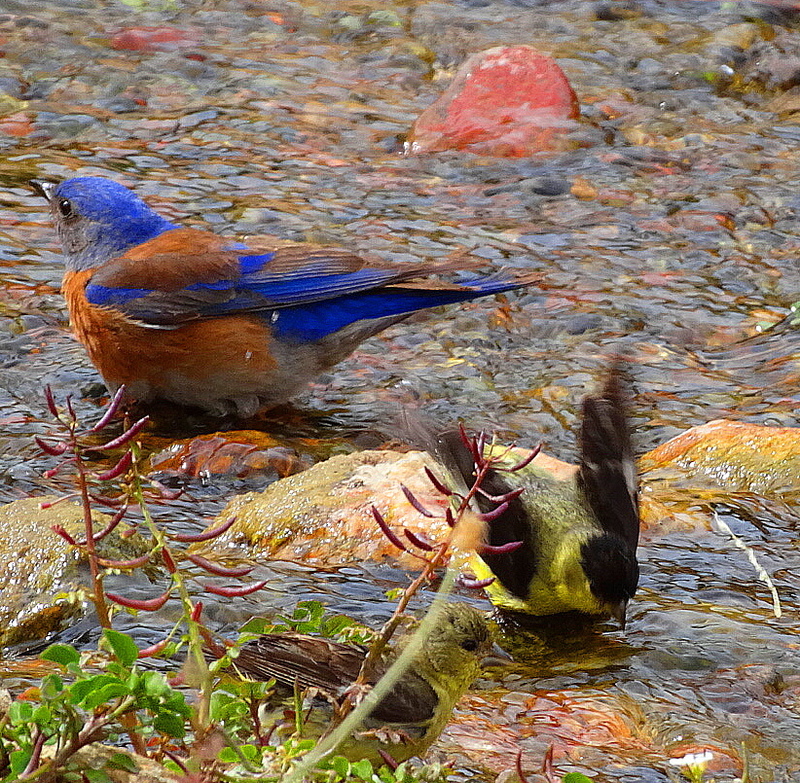 That means my indentifications in the subsequent post were correct, excluding the bluebird! Thank you my ornithological expert relation! Cindy, your pictures are amazing! What was your technique to snap these? They make me want to be a bird! We are having 3-digit heat this week! 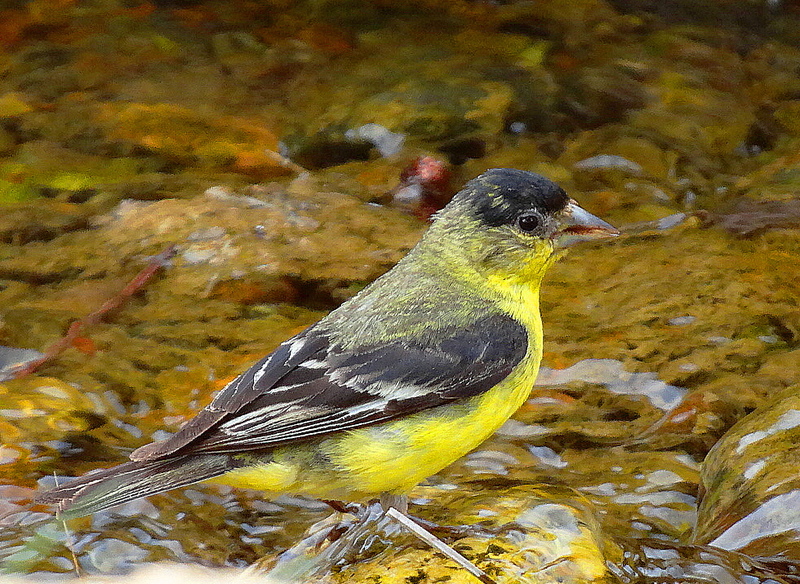 Beautiful shots of the birds Cindy, really beautiful. Very interesting to see the hummingbirds taking a bath and immersing themselves in the water so much, they are certainly not water shy! Great stuff, I enjoyed this! Thank you so much James. I was really amazed that they would swim underwater completely! I have shots of them that are not so great photo wise, but are fascinating nature wise, of different types of birds completely submarining under water. Who knew? I thought only aquatic birds did this. Cheers & thank you!